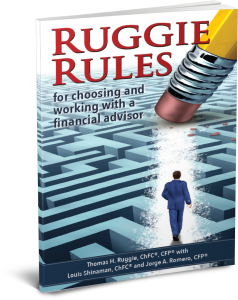 Ruggie Rules, by Ruggie Wealth Management Founder and President Thomas Ruggie, ChFC®, CFP®, shares important guideposts for planning for a secure financial future, whether you’re retiring “some day”, nearing retirement or already retired. It lays out 25 rules to help you feel more confident and less stressed about making financial decisions that really matter. “This book shows you why it’s critical to be intentional in picking an unbiased financial advisor who has a legal responsibility to put your interests ahead of his or her own, addresses why only 15% of investors should handle their own investments, details the importance of why you need a well-thought-out strategic financial plan created specifically for you, shines a light on how advisors are compensated and why that matters to you, and then ties all of these to a groundbreaking approach to financial planning that is all about taking action,” said Ruggie. To receive a copy of Ruggie Rules, set an appointment for a free initial consultation by calling 352.343.2700 or simply filling out the online form in the sidebar to your right. You can also click here to order Ruggie Rules through Amazon.com. 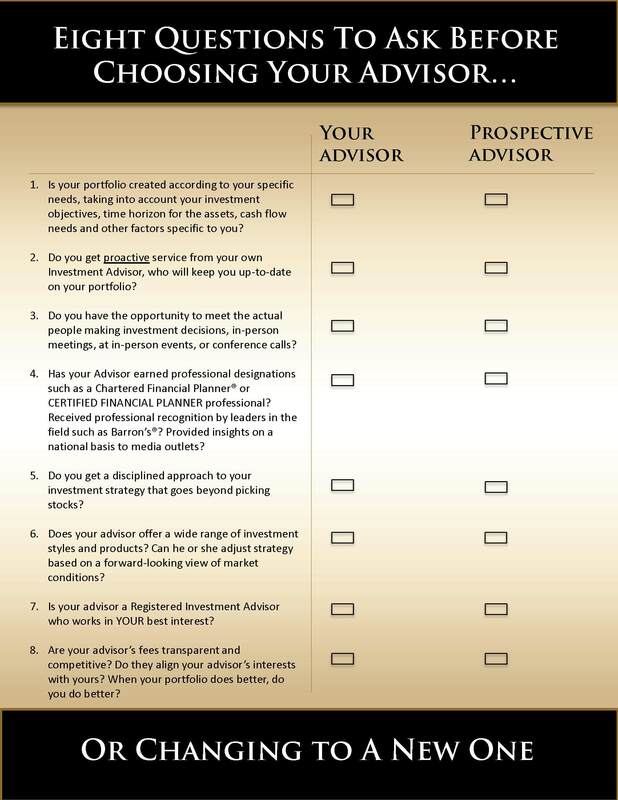 Also, click here for a free download of “Eight Questions to Ask Before Choosing Your Advisor… Or Changing to a New One.” This helpful questionnaire covers the main topics we explore and explain further in Ruggie Rules. To receive a copy of Ruggie Rules, call us at 352.343.2700 or simply fill out the online form below to set up a free initial consultation.